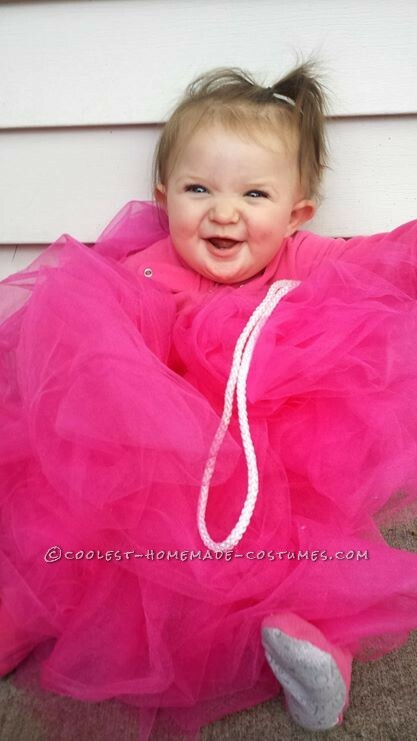 This bubble bath family costume was such an easy group outfit to make! I got some sharpies and wrote “SOAP” on one of my husbands white t-shirts. The most challenging part of all this was finding white balloons, I safety pinned each balloon to the outfit I was wearing. We went to Michael’s and got a headband and I hot glued a rubber ducky on top of it. For the loofah I went to Michael’s and got five yards of tulle and cut them into 10 inch pieces. I just tied them on to 2 elastic bands and put them bands over my daughter’s pajamas. We had some string,I used a hot glue to and glued it to the elastic. Everywhere we went we were complimented on such a cute idea. The best part was how simple and cheap it was, not to mention fun! The balloons were a one time event though because as soon as we got home they were all done for. They have hundreds of colors of tulle too,if I can’t think of anything next year I’ll make a loofah outfit for myself! If I would have used fabric paint I am sure it would have turned out better,my husband did complain about smelling sharpie… haha. This whole thing probably cost under $20, they always have killer deals going on Michael’s for fabric too. A couple people didn’t know what a loofah was, but I’d say 90% of people loved it and said they planned on making the outfit for next Halloween! I was going to go and make a little thing so I had a shower curtain connected but I ran short on time because I made this all the day before a big Halloween get together we decided to go to. This is my favorite idea so far! The best part was NO MESS. 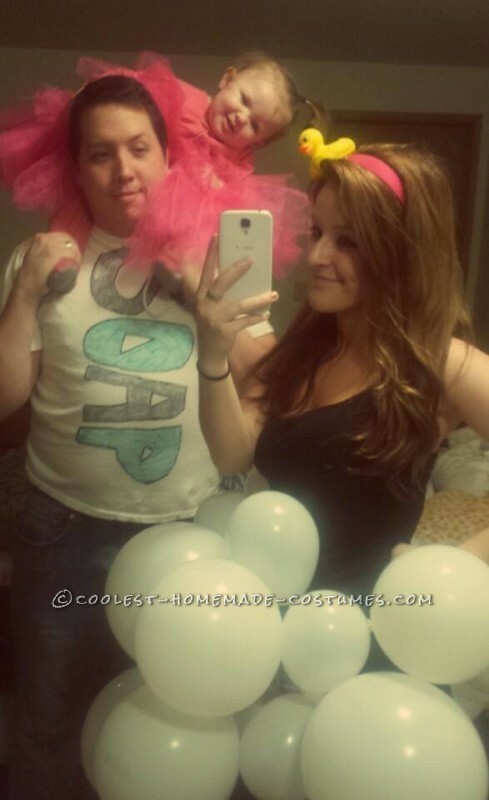 Homemade costume idea posted by morgan b.